In the lead up to the first World Tsunami Awareness Day, the Joint Australian Tsunami Warning Centre (JATWC) is reminding Australians what to do if a tsunami warning is issued in their area. JATWC Co-Director Dr Andrew Tupper from the Bureau of Meteorology said that while Australia had been fortunate to not experience the devastating and deadly consequences of tsunami such as the 2004 Indian Ocean Tsunami or the 2011 Japan Tsunami, it could be affected in the future. “Australia is surrounded by 8,000 kilometres of active tectonic plate boundaries capable of generating a tsunami, which could potentially cause significant damage to Australia’s coast line,” Dr Tupper said. 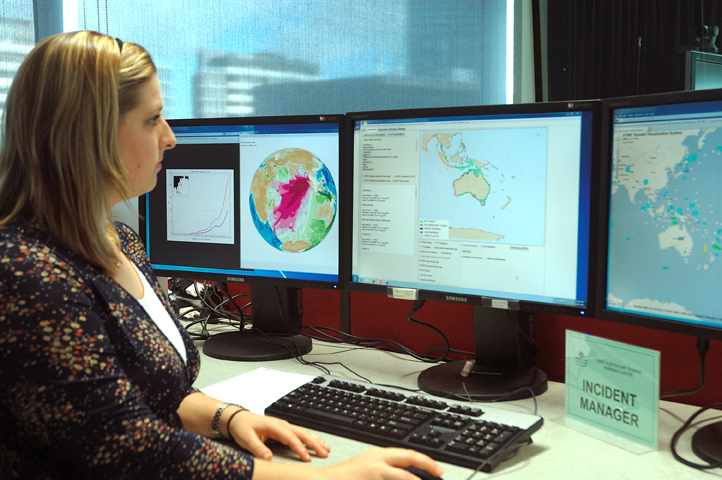 “The JATWC, operated by the Bureau and Geoscience Australia 24 hours a day, is the authority for issuing tsunami warnings for Australia and its offshore territories. 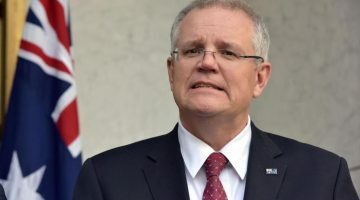 “Australia has an early detection system that includes deep ocean buoys that provide instant alerts and verification of sea level changes caused by a tsunami. “We estimate that most parts of mainland Australia would receive at least two hours’ notice of an impending tsunami. JATWC Co-Director Adrienne Moseley from Geoscience Australia said the ongoing partnership between the two organisations was crucial to the continued delivery of accurate and timely tsunami information to Australian communities. Since October 2011, the JATWC has been one of the three tsunami service providers for the Indian Ocean, providing threat information to other countries in the region to help them determine the level of threat and what warnings they should issue to their communities. JATWC also actively participates in international communication tests and tsunami exercises. The UN General Assembly designated 5 November as World Tsunami Awareness Day in honour in 1854 in Japan, when a man succeeded in warning his community of an impending tsunami by setting fire to rice sheaves. Marine Threat Warning Get out of the water and move away from the immediate water’s edge of harbours, coastal estuaries, rock platforms and beaches. Boats in harbours, estuaries and in shallow coastal water should return to shore. Secure your boat and move away from the waterfront. Vessels already at sea should stay offshore in deep water until further advised. DO NOT go to the coast to watch the tsunami. Check that your neighbours have received this advice. Keep listening to your local radio station and monitor other media for updates and advice. Go to higher ground, at least ten metres above sea level, or if possible move at least one kilometre away from all beaches and the water’s edge of harbours and coastal estuaries. Take only essential items that you can carry including important papers, family photographs and medical needs. Consider walking to safety if possible to avoid traffic jams. If you cannot leave the area take shelter in the upper storey of a sturdy brick or concrete multi-storey building.